perfect place to enjoy your special event. It's that one day of the year that is so important to you and your child. 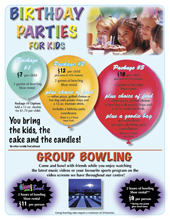 Last year we hosted hundreds of kid's birthday parties! Concerned that your invitees can't bowl with the big balls? No worries, we have balls as light as 4 lbs. We provide bumpers to make the experience exciting. We also offer "Family Friendly" Bowling Music Videos. Check with our desk staff for the best times to book. 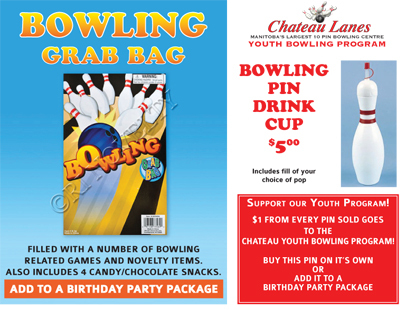 Bowling & Food Package or let us put together the Goodie Bags. 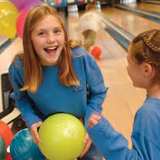 10 Million kids celebrate their birthday in a bowling centre each year, making bowling centres the #1 Birthday Party Destination! 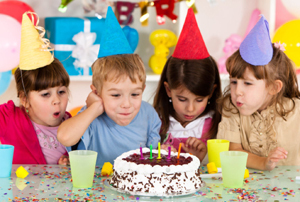 No work – No mess – You bring the kids and the cake and let us do the rest. *Your name will be added to our Youth Newsletter mailing list. 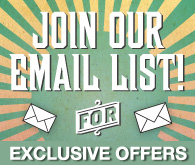 You will receive information on specials and events. Your email address will not be shared with third parties. emai lto a friend or colleague. * Please have your party arrive 15 - 20 minutes prior to party time to ensure shoe distribution and lane assignments are done on time. Copyright 2013 © Chateau Lanes. All rights reserved.